and I wasn't engaged, so I didn't think to invite Mickey and Minnie to the wedding I wasn't planning yet. But I just found out that you actually can invite Mickey and Minnie to your wedding. They won't come, but they will send you a Just Married pin and an autographed photo. Update: I actually received a postcard back from Mickey & Minnie. Check it out here. 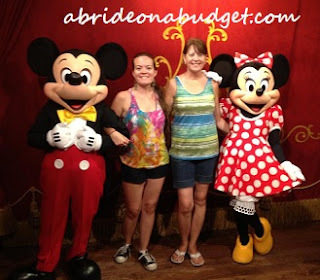 BRIDAL BABBLE: Are you planning to invite Mickey and Minnie to your wedding?